Rohan Bopanna and Edouard Roger-Vasselin progressed into the second round of the Miami Open after registering a brilliant 4-6, 6-2, 14-12 win over the duo of Adrian Mannarino and Daniil Medvedev. The Indian duo of Purav Raja and Jeevan Nedunchezhiyan reached in the final of Lille Challenger. 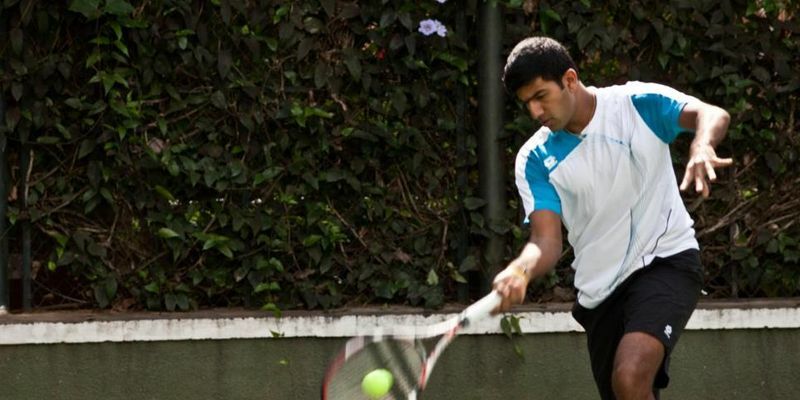 Indian tennis had a good day in the office on Friday as the tennis aces managed to advance in their respective campaigns. Paired with France’s Edouard Roger-Vasselin, Bopanna produced a brilliant display Russian-Frenc duo of Adrian Mannarino and Daniil Medvedev. After losing the first set 4-6, the Indo-French duo made a terrific comeback by winning the next set 6-2, which forced the game into the decider as they held their nerves brilliantly. The pair eventually managed to register a 4-6, 6-2, 14-12 win over the French-Russian pair that helped them to advance into the second round, where they will face the American duo of Steve Johnson and Sam Querrey. The American duo defeated top seeds and Wimbledon champions Lukasz Kubot and Marcelo Melo on their way. In the other game, Raja and Nedunchezhiyan reached the final of the Play in Challenger in Lille after beating the unseeded British duo of Luke Bambridge and Joe Salisbury. The fourth-seeded Indian pair had a solid showing on their first serves, winning 80% of the points, as their experience was showing. They perfectly converted the breakpoints and made use of the only break point that they earned in the second set. The duo had also saved all of three of the breakpoints that they faced during the match and superbly denied their opponents any chance of a comeback and entered the final round after a 7-6(2), 6-4 victory over the unseeded pair. The Indian players will face the unseeded pair of Hugo Nys and Tim Puetz in the final, who defeated Tomasz Bednarek and Stephane Robert 6-2, 6-3 in the other semi-final. The Indians faced a tough challenge before securing their chance in the final as they defeated Sander Arends and Tristan-Samuel Weissborn 4-6, 6-1, 11-9 after losing the first set and they got a walkover in the next round.